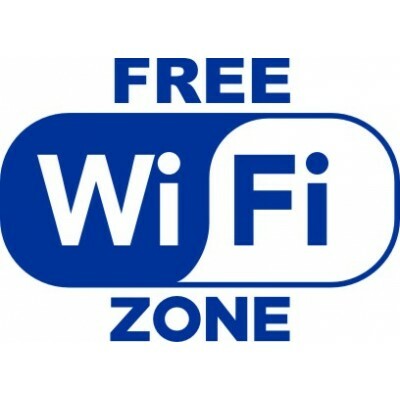 in the town center provided by CLANNET. The Moorside Room @ 9 Church Street acts as the hub for the new network and Essential Health & Beauty kindly allowed their building to be a host site for a repeater allowing the signal to be transmitted from the top of Piercy End along the length of Market Place and High Market Place.The Free Wi-fi initiative brings free openspace internet access to residents, shoppers and visitors to Kirkbymoorside. A very warm welcome to this our Official Town Council Website. 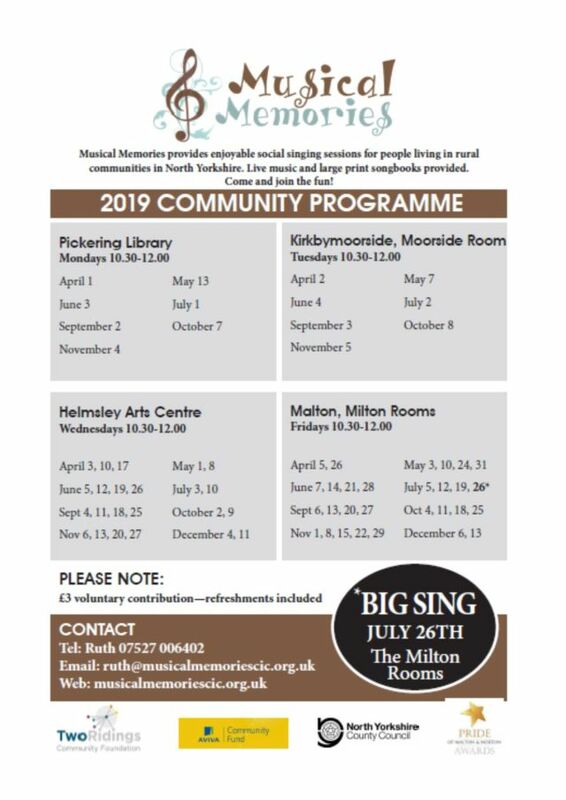 We hope it provides a useful insight into some of the facilities and services that are on hand in Kirkbymoorside. 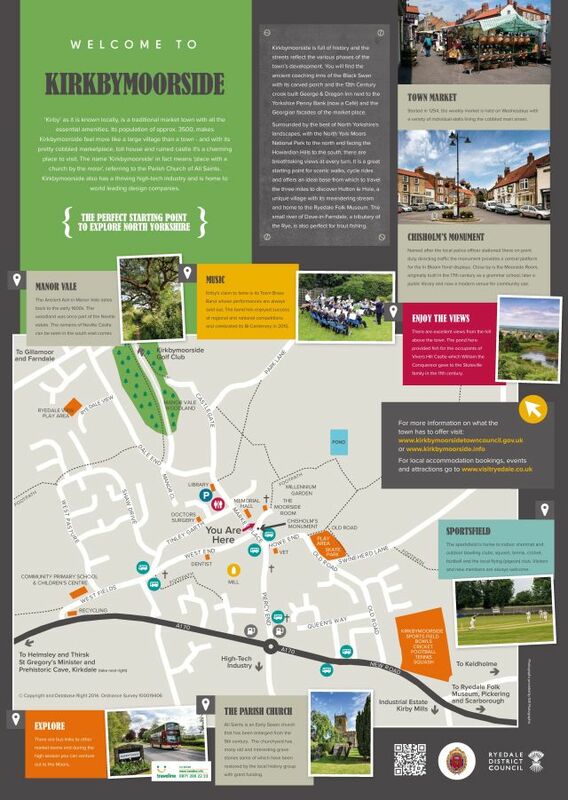 If you are a visitor and have not yet ventured off the A170 we do hope it will provide some incentive and encouragement to see at first hand the market town that we take such pride in. We believe our town to be quite a unique haven in an environment of increasing pressures and speed, and we look forward to sharing it with you. Look on the Community Information page for the lastest events in and around the town and check out the publications page for the latest edition of our town newsletter "The Moorsider". Why not visit the town in its winter glory and experience the beauty of the North Yorkshire Moors, all within a few miles of the town. 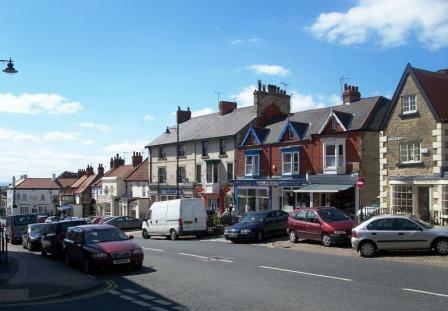 Kirkbymoorside, or Chirchebi as it was called in the Doomsday Book, this busy market town offers a wide range of facilities and services from guest houses and restaurants to family businesses and specialist commercial companies. The Wednesday market started in 1254 is still in business today with a variety of individual stalls lining the cobbled streets and is one of the few private markets left. 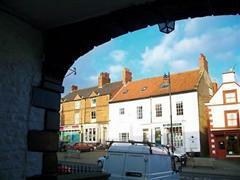 Kirkbymoorside is full of history and the streets reflect the various phases of the town’s development. You will find the ancient coaching inns of the Black Swan with its carved porch and the 13th Century crook built George & Dragon Inn sat alongside the Yorkshire Penny Bank and the Georgian facades of the market place. A popular trading post for the coaching routes between York and Scarborough and across the moors, Kirkbymoorside once boasted a pub on every corner! Today you will find not only the original pubs, but cafes and restaurants catering for all tastes and a wonderful selection of shops. The In Bloom group is very active and every summer the streets as a blaze of colour with tubs and hanging baskets adorning the lamp-posts and verges. It is the final resting place for one of history’s most infamous rogues George Villiers 2nd Duke of Buckingham. He was a favourite of Charles II and is described in history as a man with a passion for wine, women and intrigue! No stranger to political scandal, he was one of the CABAL Govt who exerted real influence over the policies made by the parliament and is said to have plotted with others in one of the rooms near to the Black Swan Inn. His scandalous love life is also well recorded. He had many lovers and introduced King Charles to Nell Gwynne. However, Kirkbymoorside is also within a key religious area. 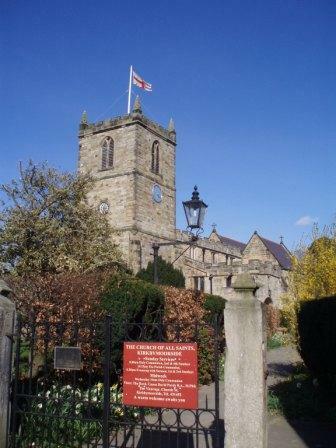 The beautiful and isolated dales and valleys are ideal for spirituality and religious communities and it is no surprise that within a few miles you can find St Gregory’s Minster at Kirkdale, St Cedd’s Monastery at Lastingham, as well as the well known Rievaulx, Byland and Ampleforth Abbeys. Within the town you will find a Methodist chapel, St Chad’s Catholic Church and All Saints Parish Church, as well as the Friends Meeting House which dates from 1690. The religious life of Kirkbymoorside is still strong and very much in harmony with the churches working together especially over the festive period. come along at Christmas and you will witness the Walk to Bethelehem around the town - complete with donkey. So come along and rediscover a hidden gem on the edge of the moors. For more on the history of Kirkbymoorside click here.